Between now and 2027, the global cruise industry will add at least 104 new cruise ships, as a record orderbook propels capacity growth globally. According to 2018-2019 Cruise Industry News Annual Report, the industry is targeting 40 million passengers and net earnings in the $9 billion range by 2027. This year, the industry is expected to carry around 27 million passengers, up from just under 17 million 2008. The modern cruise industry can trace its roots back to 1966, and has added capacity every year since. And while the onslaught of new ships (view the cruise ship orderbook) coming is like nothing before, Carnival Corporation and Royal Caribbean Cruises have a string of positive annual earnings since their IPOs in 1987 and 1993, respectively. The forward-looking supply picture counts an additional 104 ships with an average size of 2,380 guests at double occupancy (two people in each room). MSC Cruises, a privately-held player based in Switzerland, has the biggest plans of all, and will welcome 10 new large ships to its fleet. Adding more tonnage to North America, the MSC Seaside made its debut in Miami last December while the MSC Seaview just launched service in the Mediterranean. New ships present economies of scale to the cruise lines, command the highest ticket prices and drive the most onboard spending with the latest features. They also create a media buzz for the industry. New entrants Virgin Voyages and Ritz-Carlton should only help that, as well as a trio of new ships coming in the early 2020s from Disney Cruise Line. In addition, the latest technology means they are the most efficient to operate when it comes to energy consumption. A number of new ships promise to use LNG (Liquefied Natural Gas), which burns cleaner and is cheaper than traditional fuel options. Each next-generation class of cruise ship is generally 20 percent more efficient per passenger than the previous generation, despite getting larger. Eight large new cruise ships are committed to the Chinese market, which could one day have the potential to be the world’s largest cruise market. Expectations are being brought down to reality in the near-term, however, as over supply has caused a market correction in mainland China, with some operators trimming capacity. Companies are also expected to retire older ships, but at a slower rate. These vessels are often sold to operators not competing with the main cruise lines. 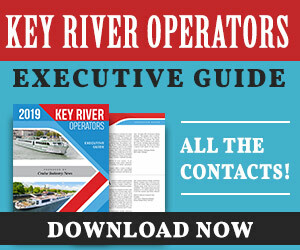 The major players, however, continue to invest heavily in existing tonnage, spending tens of millions on renovations and upgrades to add revenue-generating features. There’s also the expedition market, led by Lindblad Expeditions. With over two dozen new small expedition ships coming; these niche vessels travel to unique areas and command high ticket prices. 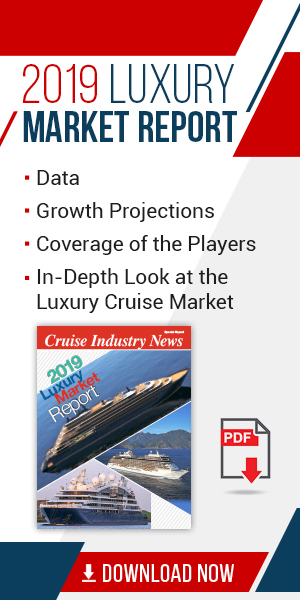 According to the 2018 Cruise Industry News Expedition Market Report, the current expedition market will grow by at least 70 percent in passenger capacity been now and 2023, based on known newbuild orders and confirmed ship deployments.